This is a perfect gift for a grandma for her birthday, Grandparent's Day or Mother's Day - put her mug (face) on a mug! 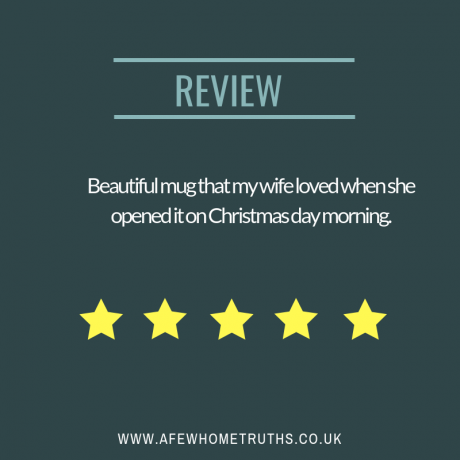 The face on the mug can be personalised to suit exactly how she looks. 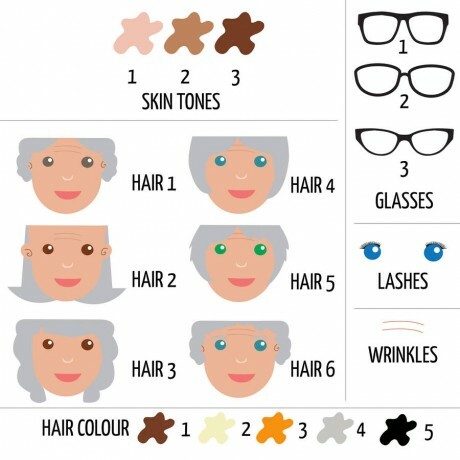 Choose skin tone, eye colour, whether to add glasses, hairstyle, whether to have eyelashes and, if you dare, wrinkles. You will end up with a perfect, very lovely grandma - just like in real life - in no time at all!! We will print your message under the face. 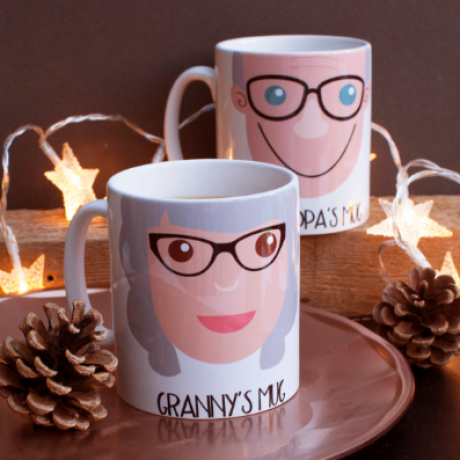 In our example we have put "Granny's Mug" but feel free to have whatever you like.The image will be printed on one side of the mug. The face is surrounded on both sides by a decorative spray of foliage. 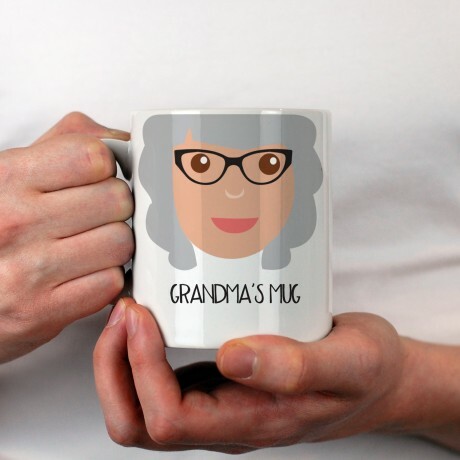 This is a humorous, funny mug which is bound to raise a smile - a lovely gift to give to your grandma to show how special she is. (Please note we do not include the ingredients to make the cake but they are very basic...flour, sugar, an egg and milk. You then just pop the mug and mixture in a microwave to cook).